Pick My Project is a new State government funding initiative. During June-July, Victorians were invited to propose a project that would benefit their community. The Newstead Railway Arts Hub submitted ‘Wasteland to Wellspring’, a proposal for the development of a vibrant sculptural garden at the Arts Hub to inspire our community and the arts. 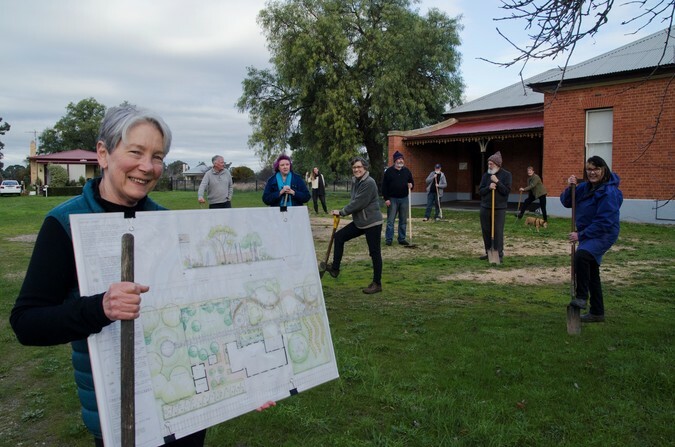 With the recent news from VicTrack and the Arts Salon on the restoration of the goods shed and conversion into arts-based workshops, this garden would convert the ‘wasteland’ around the station into a creative and beautiful entry to the precinct. With VicTrack support, we have a lovingly restored and well-used railway station building, but the surroundings remain an uninviting wasteland; muddy in winter, hot and unshaded in summer, inaccessible for wheelchairs and prams. Now, with lots of community input and working with the talented design team of Cassia and Anna Read, we have created a garden design to inspire and connect our community. Funding through Pick My Project will enable us to realise our vision. 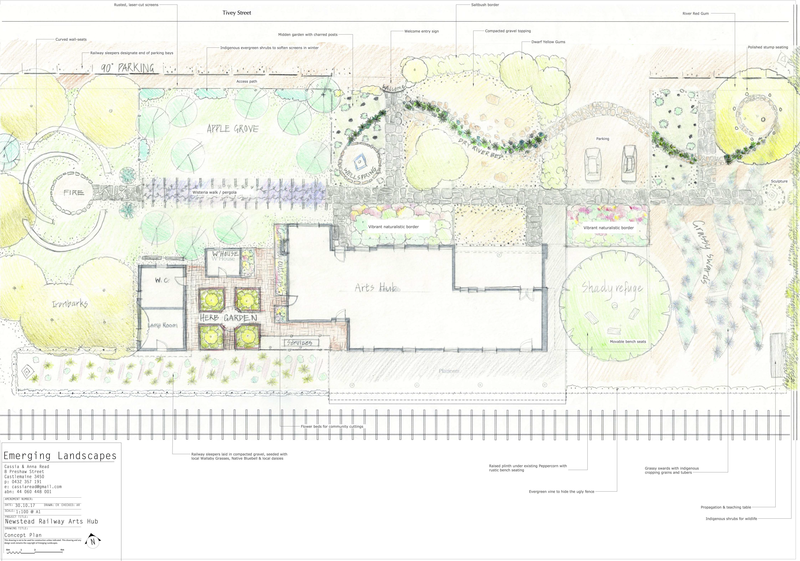 The concept design for the garden includes spaces for community celebration, cultural activities and quiet reflection. The garden will honor the many layers of our history – as Dja Dja Wurrung country through to today. And the garden will be a welcoming entry for locals and visitors alike into the evolving arts precinct at our railway station. Here is the concept design and here is the full proposal. Voting closes Monday 17 September at 5pm. The Pick My Project funding is based on the number of votes. Now we need to vote for our project – details below. Select the local community you want to vote in – choose Newstead. You can vote in any local community. Pick My Project will show you projects within 50km. You can create a short list of between 3 and 6 projects. Wasteland to Wellspring is our project – please pick it! Once your vote is in you can’t change it, so take your time! And then share who you have voted for via social media. No internet, email or mobile phone? Come to our stall on Sat 15 Sept at Rotunda Park, find out more about our projects and vote on the spot!